Paper & Ink Therapy: Merry Making: Day 1 - Holiday Backgrounds! 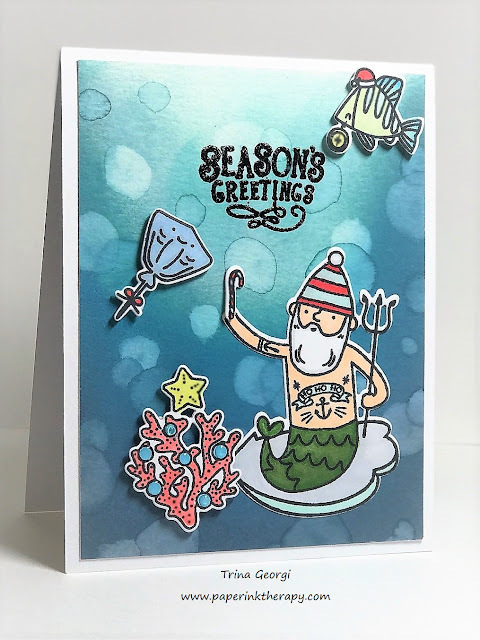 I'm very excited to be signed up for the latest Online Card Classes, "Merry Making". Yesterday was Day 1, which focused on backgrounds. I loved all the techniques, but decided to try the one shared by Kristina Werner first, which creates a bokeh effect. 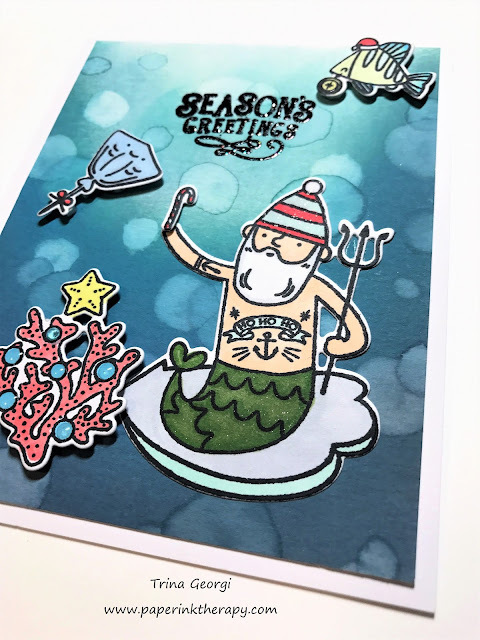 I finished the card off by adding some Wink of Stella, Glossy Accents, and although it's hard to tell, I embossed the sentiment with Hero Art's Black Sparkle embossing powder. Can't wait to try out the "Snow Flurry" technique - looks like fun!